The first two articles in this issue consider matters of faith and belief. The last four deal with the perennial problem of evil. The relatively new field of the cognitive science of religion has raised a number of questions regarding the reliability of religious belief. 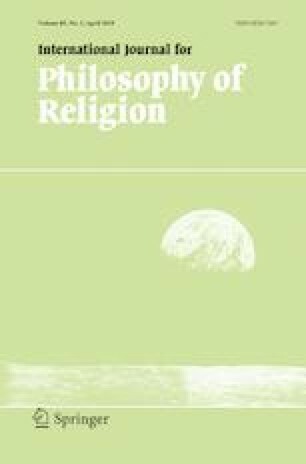 Hans Van Eyghen considers a number of arguments drawn from this new field of study, all of which suggest that religious beliefs are formed by processes that undermine their epistemic reliability. One argument that is discussed is an influential proposal by Pascal Boyer. He argues that, as a matter of empirical evidence, minimally counterintuitive concepts have the best chance of being remembered, passed on, and inculcated into a particular culture. Such concepts are memorable because they violate only a relatively small number of ordinary expectations, in contrast to intuitive concepts that do not violate any expectations at all. Maximally counterintuitive concepts violate too many expectations and as such are too fantastic to be taken seriously; as such, these concepts do not become a part of the cultural memory. A ghost is an example of a minimally counterintuitive concept: it can go through walls and yet remains compatible with many ordinary expectations. For example, a ghost perceives things and interacts with persons in the way that ordinary persons do. Boyer says that supernatural concepts are formed in the same way and as such are unreliable. Van Eyghen denies this claim on the grounds that such a description of belief formation (even if plausible) has nothing to do with epistemic reliability. He discusses other such mechanisms of belief formation proposed by the cognitive science of religion and concludes that none of these succeeds in showing that the formation of religious beliefs is epistemologically unreliable. The next four articles tackle the problem of evil, a problem that just will not go away. In the first article on the problem of evil, James Sterba claims that skeptical theists fail to consider actions that are wrong not because of their consequences, but non-consequently wrong, that is, wrong in and of themselves. If they did, they could not argue that a divine act which permits graituous suffering could be warranted because it will bring about a good consequence that we cognitively limited humans cannot comprehend. Skeptical theists ignore the fact that some actions are inherently (non-consequentially) wrong. If God permitted such an intrinsically wrong action, this would entail a contradiction. The consequentialism presupposed by skeptical theism overlooks this. If God is a deontologist, and surely he must be, it would make no sense to justify an action that causes horrendous suffering on the basis of the prospect that it will bring about a good consequence. Kevin Vandergriff argues that Schellenberg’s hiddenness argument for atheism does not succeed. As is often the case, hiddenness arguments resort to the parent–child relation. The author mentions the Ferber method of sleep training. On this method which recommends that parents leave their children alone for strictly-timed intervals, ignoring any protests and cries they might hear. This method cannot require permission of the infant. As well, the parents must remain hidden from the child, but not out of earshot. By analogy, and contra Schellenberg, God is justified in permitting nonresistant nonbelief for a time in order to promote future flourishing. This counters Schellenberg’s claim that permitting such nonbelief is inconsistent with God’s existence. Next we turn to Kant’s theodicy. Matthew Stewart Rukgaber argues that Kant’s Religion Within the Boundaries of Mere Reason represents a revision of his theodicy. This revision turns from a stoic-like version of theodicy to a version based on his notion of divine blessedness as the virtuous love of one’s neighbor and God. This revision moves him beyond a moral-rational faith to moral-theological faith of the sort that Aquinas and others regard as essential to an authentic religious life. The last article continues to explore Kant’s Religion Within the Boundaries of Mere Reason. Dennis Vanden Auweele argues that Schelling provides a reconstruction of Kant’s theodicy. He does so in providing a non-rational ground for evil. That ground is human freedom. Of course, this can only be the ground of moral evil. But as such Schelling is intent on holding that it is human beings and not God that is responsible for evil.